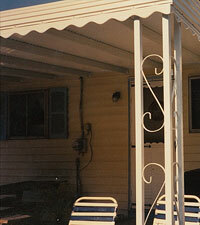 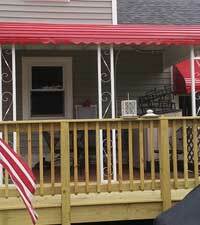 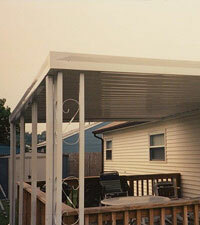 Residential Awnings - Chesapeake Fence & Awning Co. 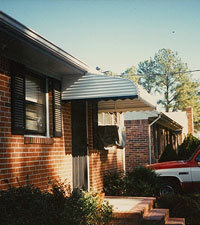 Uncovered windows are sources of energy loss, and a lost opportunity when it comes to curb appeal. 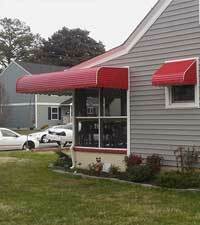 Our custom-made awnings block out the sun - saving you money - and shield your home from harmful debris that could otherwise cause damage. 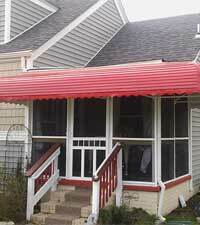 A strong aluminum structure will ensure that our awnings last for years, and are provided in various sizes, styles, and colors.